Atletico Madrid star Saul Niguez has described Arsene Wenger as "a football legend" in the wake of Arsenal's Europa League semi-final exit. A goal from Diego Costa sealed a 1-0 win for Atletico at the Wanda Metropolitano on Thursday and a 2-1 aggregate victory over the Gunners. 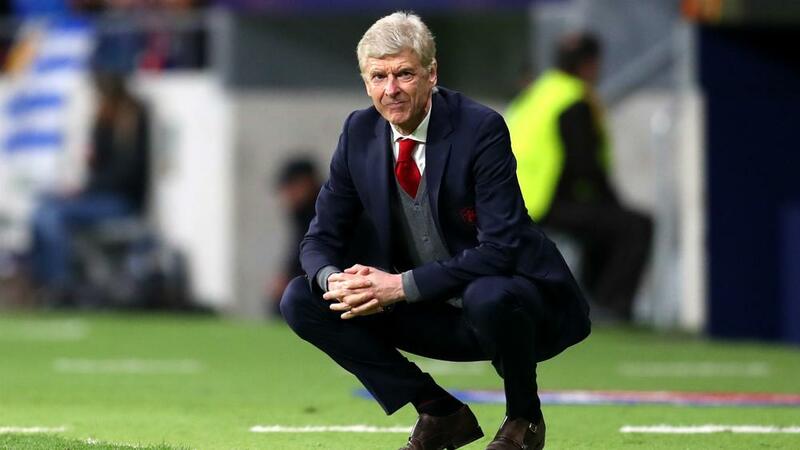 The result ends Arsenal's hopes of getting back into the Champions League next season and means Wenger's final season in charge of the club will end without a trophy. Saul admits there is a touch of sadness about Wenger's disappointment, but he suggested Arsenal will continue to fall short in Europe without adding some steel to their performances. "It's a shame. He's a gentleman, he has done amazing things at Arsenal. He's a football legend," said the Spain midfielder. "Arsenal put us in difficulty in the tie, they're a team who play really good football. But, in football these days, just playing well isn't enough to win." Atletico will meet Marseille in the final in Lyon after the Ligue 1 side snatched a 3-2 aggregate victory over Red Bull Salzburg with a goal in extra time. Midfielder Koke is desperate to get his hands on the trophy to make up for Champions League final defeats to Real Madrid in 2014 and 2016. "We've been reaching finals these past few years and we haven't been able to win them, so we want to reach this final and to win it," he said. "A final is a final, you have to play them and to win them. It doesn't matter where you play them, France or China. You have to play, get out there to win and don't think about where you are playing. "It could be another title and we're proud for the work we are doing. This season has been very hard, we weren't able to buy players at the beginning [due to a transfer ban]. That was hard but we’re proud, trying to give another title to our fans." Koke admitted, though, that winning the final this month would not necessarily have any impact on whether Antoine Griezmann will stay at the club. "Well, that's a question for him," he said of the France forward, who has been heavily linked with Barcelona. "He has a contract and we'll see what happens. "Right now, he's focused on ending the season, on winning the Europa League and we'll fight for that."